Saturday, 2/20, late afternoon a recently-hatched great horned owlet was found in bad shape at the base of the nesting tree. Unfortunately it did not survive. This tree is adjacent to where most drone flying in the Basin has been taking place. While emphasizing that we can’t prove there’s a connection, it must be noted that this is the first-ever nestling to fall from the nest since the big birds started breeding in this area several years ago, and that the most apparent difference between this and other years is the presence of drones. 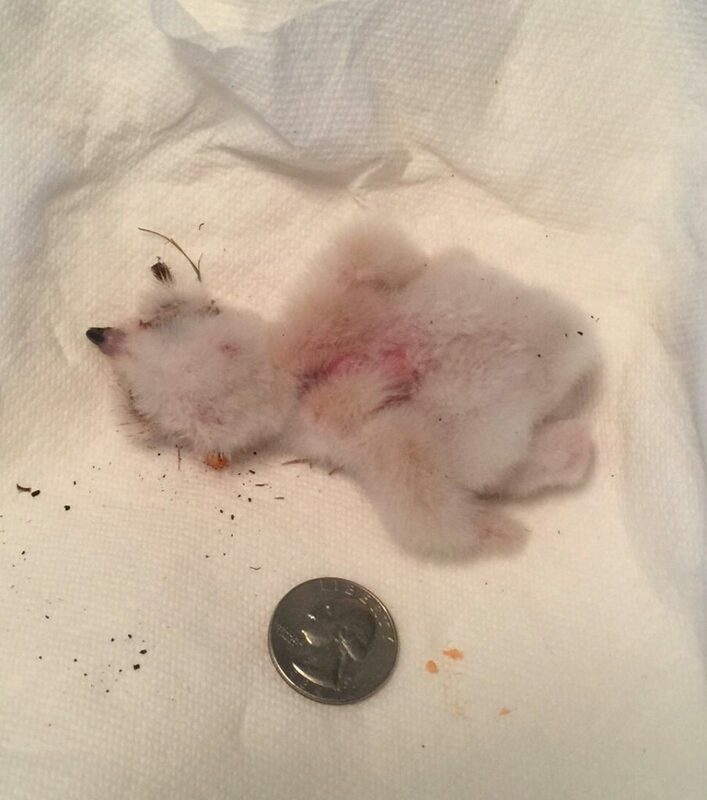 This picture is what the dead owlet really looked like (pic on main page less shocking) and an idea of how tiny it was. Whether the mother was spooked by a drone and as a result the hatchling was knocked out of the nest or not, we should still treat this small tragedy as a warning about the sorts of things that drones and fighting kites are capable of. We should resolve that permanent signage and enforcement be put in place before — not after — there is a similar fatality that undeniably involves one of these activities so inappropriate to a wildlife reserve. Click here to tell your City Council representative you want action on this matter. Your ticket for the: Drones In The Sepulveda Basin Wildlife Reserve — the Next Chapter and A Call to Action!